Okay, here comes the interesting part. This is the trigger point that makes me want to leave Just Host shared web hosting as soon as possible. Unprofessional Just Host live chat support. I hate people ended my chat conversation when I am not done yet. This is so unprofessional. 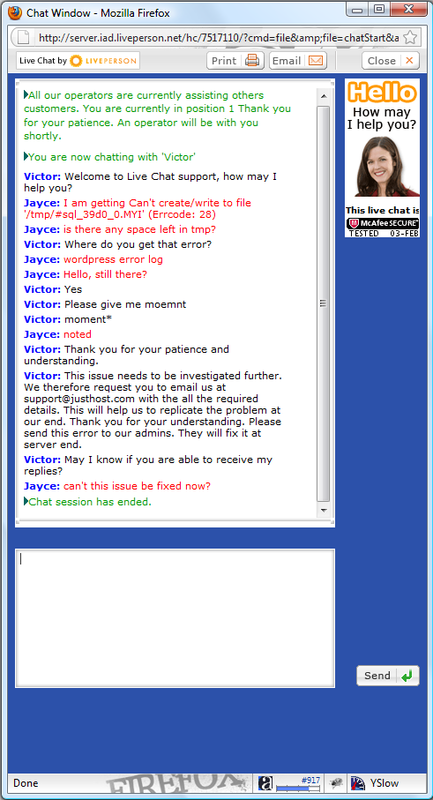 Furthermore, Just Host live chat support is slow to response. And does not willing to provide help on the spot. Then, what is the purpose of having live chat support?